We invite you to browse this website to get acquainted with our offerings and visit our events page for current offerings. We will be happy to meet with you and tailor any of these service solutions specifically to your needs. Similarly, if you don’t find the kind of solution you are looking for, please contact us. Looking to do team building, development activities, strategic planning: mission/vision/cause statements? Workplace Learning and Engagement is here to support those needs and to customize a solution. Human Resources offers information sessions, workshops and online computer training for faculty and staff to improve your effectiveness at work, as well as to support your career, health and personal development. See the online calendar for more information. As part of the University’s commitment to an outstanding work environment, as outlined in Shaping UBC’s Next Century, UBC’s strategic plan, we seek to provide our faculty and staff with improved access to professional development opportunities. Explore and create an exciting career at UBC. Navigating your career at UBC invites you to create a personalized career development plan. The UBC Tuition Fee Waiver provides eligible UBC staff and faculty with tuition assistance for approved undergraduate, graduate or non-credit courses and certificate programs. See Tuition Fee Waivers for more information. Many UBC units offer learning opportunities to faculty and staff. The Managing at UBC Program is open to M&P staff who have staff reporting directly to them and is designed to support them in their role, recognizing the significant responsibility they hold for employee performance and engagement and achievement of unit goals. By participating in this program, new managers* will feel supported in working towards their full potential and have a broadened understanding of their role in managing people and systems. Because the program uses a self-directed learning model, managers will be able to identify and develop their learning goals from a menu of resources provided to help them fulfill their roles. *this refers to those that hold the titles of ‘Manager’ or Supervisor, Assoc. Director, Director, Librarian, Coordinator, etc. In the world of organizational development, coaching has become the most effective tool to accelerate results in learning and professional development and building engaged workplaces and lives. At UBC, we offer FREE 1-on-1 professional coaching services for staff and faculty, quarterly coaching workshops through our MOST Program and a Practicum Program to integrate coaching skills and learning. Our aim is to build a Coaching Culture at UBC. Learn more about coaching resources and becoming a coach. Please refer to the Recognition program for more information. The purpose of this group is to drive a shared understanding and action on key programs, campus initiatives and leadership practices. This is done through consultation and discussion of various campus events, such as bi-monthly meetings and using a secured online environment, to provide ongoing opportunities for information dissemination and group discussion. The program begins with an intensive two days at the start of Fall term, and continues throughout the year with short, just-in-time delivery on topical subjects, culminating with a Leadership Summit in the spring. The next Faculty University-Wide Orientation at UBC’s Okanagan campus is to be determined. Details will be posted in Spring 2019. To register for the next workshop see faculty orientation registration. The Welcome Back Faculty & Staff BBQ & Info Fair and Town Hall, an annual event held late August or early September, is designed to give incoming faculty and new staff the opportunity to meet representatives of various service units, and find out more about what resources are available to them. For more info on this year’s event see the events calendar. 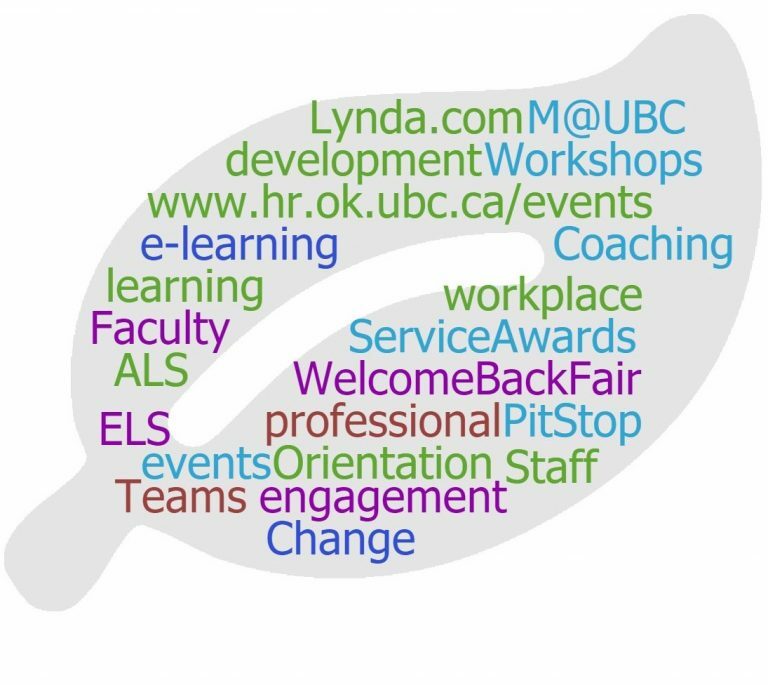 New faculty and staff are also encouraged to visit the Welcome Center, where you can sign up for benefits, find out more about the Okanagan and UBC, and links to other organizational resources. Managers can also access on-boarding checklists to help ensure a smooth transition for new faculty and staff. See Recruiting Staff for checklists. See the events calendar to find out the next date and to register.